Pune has several shopping options, but who can afford the numerous malls all the time? We know we can’t. Meander down the several street shopping hubs in Pune and you’ll definitely score something trendy and cheap. Whether you’re shopping for clothes, shoes or accessories, you won’t burn any holes in your pocket. There’s no dearth of roadside shops that are cheap. Pick up belts for INR 100, sunglasses, summer tops, scarves, junk jewellery and a ton of shoes. You can also drop in at Galaxy and pick up sneakers starting at INR 350 only. And, a street where you can buy juttis and mojaris. There are other smaller shops too that are affordable and you’ll walk away scoring trendy clothes. You obviously know FC road and how it’s the best place to grab an entire OOTD. Hit up FC road and buy your pocket’s worth. You can also check out our previous recommendation to know what we grabbed here. Shop of latest styles of bags, shoes, clothes and other accessories. And, you’ll save so much if you’re good at bargaining too. The tiny lane off FC road is an accessory mecca. Shop for all styles of earrings, from those you can wear on western wear and small and big jhumkas for when you have to dress in ethnic wear. 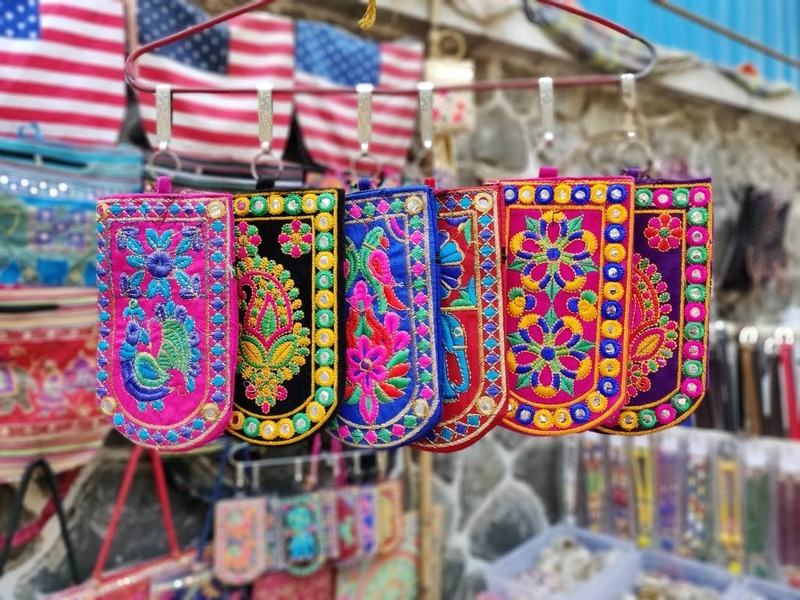 We loved the earrings at Mahalaxmi Novelty and also spent about INR 1200, shopping for phone cases, and a bunch of other things on this street. Located in Camp, Clover Centre is where you can shop for as low as INR 150. Get blouses, accessories, shoes, casual wear, dupattas and a bunch of other knick-knacks. There are a bunch of stores here too that can be a good idea to shop at. Not ideally a shopping street, but at the mouth of lane one and two, along north main road, there are a couple of street stalls worth stopping at. Shop for pretty kolhapuris, sandals and a few juttis here too. You’ll get a lot of cheap shoe options that start at INR 250. In lane 2, there’s a large junk jewellery stall that has earrings of all kinds, cocktail rings, a ton of anklets and a lot a embroidered clutches and bags that are far from tacky.